Sometimes you don't need an amazing outcome to know you've put effort and thought into something. 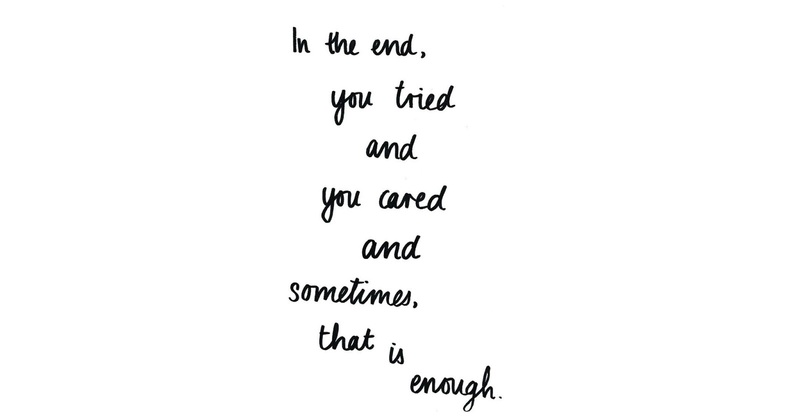 There are many things we try our best with and often in the end it didn't work out very well and we regret even trying, though in most cases it's the trying that truly counts. You can expect more posts like these when I feel inspired by quotes I've found as these have replaced my four quotes posts. Think this is a better idea?